Hida-Takayama has a cultural tradition of woodworking. It is the only region of its kind in Japan, and is collectively named ‘The Craftsmen of Hida.’ These craftsmen played a great part in the state projects of the ancient capitals of Heijo-kyo and Heian-kyo. When thinking about tradition, we tend to focus on something being 'old', but tradition is an accumulation of 'new' things, which are an accumulation of technical innovations from each era. We have to remember that those footsteps contributed in creating history and tradition. 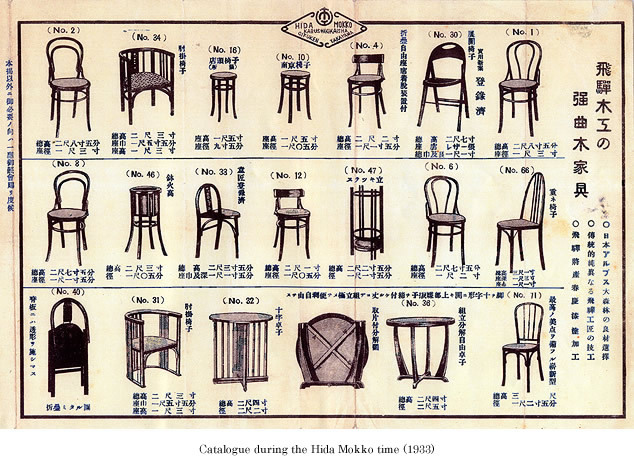 The origin of Hida furniture goes back to 1920 when Chuo Mokko Co. Ltd . was established after inheriting this tradition. The company was operated as a limited company from the beginning and is currently called Hida Sangyo Co. Ltd. Their journey symbolizes the history of Hida furniture and it would not be an exaggeration to consider it the history of western furniture in Japan. In the Taisho Period, it took nine hours by car to Gifu, and two days by rickshaw without railway (the Takayama Line was opened in 1934) as Takayama is 140 kilometers from Gifu and 90 kilometers from Toyama. Surrounded by steep mountains, Takayama was an isolated village in the midst of the mountains with limited transportation. 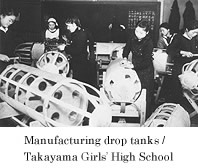 The main industry of Takayama at that time was silk production and the forestry industry was mainly timber production. Wood processing was mostly just a home-based trade. 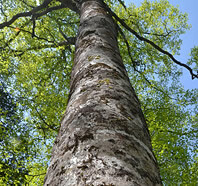 Although beech trees grew naturally in the area, they were not used except for fuel or as the soles of ’geta’ wooden Japanese shoes. Meanwhile, some influential people in the town, who had heard the story of two craftsmen who were making furniture using bent wood from beech trees, pooled their resources to start a business. This is when the industry of utilizing the rich resources of beech trees from around the Japanese Alps to make furniture began. 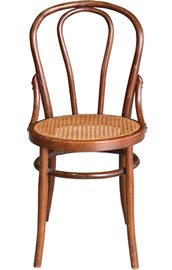 With the support of the local government, they tried to make Thornet-styled bentwood chairs, which is one of the most difficult types of furniture to make even today. Although they encountered hardships such as the occurrence of wrinkles and flaking paint, after continuous trials and improvements, the quality of their products improved. It took two years until they started manufacturing products that they were satisfied with, and approximately three years until full-scale sales routes were established. They named their group Hida Mokko Co. Ltd. in 1923. They manufactured wooden airplanes and drop tanks from their munitions factory during World War II. After the early turbulent Showa Period, in 1945 the company name was changed to Hida Sangyo Co. Ltd., and their operations returned to a peace-time industry. A few other furniture manufacturing companies were established at that time, but they had to close down due to the upheavals at that time. The only company which has survived and kept its sound business among those pioneers of Hida furniture is Hida Sangyo Co. Ltd., which is famous for its Kitsutsuki (woodpeckers) brand. Following the establishment of Hida Sangyo Co. Ltd., Kashiwa Corporation and Ibta Interior Co. Ltd. were successfully opened in 1943 and Nisshin Furniture Crafters Co. Ltd. was opened in 1946. Takayama Mokko Kai was established as a social group in May, 1950. 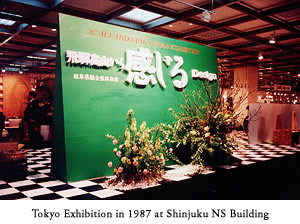 More companies, such as Shirakawa Corporation’s 1960 establishment, were opened and the group has expanded. The group was reorganized as Hida Woodworking Federation in 1974. In 1982, the Federation was authorized as a cooperative association and cemented its position as the leader of the industries in the region. In 1951, the DK style of tables and chairs in larger kitchen areas was introduced in the Standard 51C for public housing. This style symbolized modern life, and became popular in apartments and houses. The eating style of Japanese people changed from sitting on the floor at a low table in the living room to sitting on a chair at a high table in the dining room. 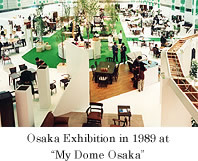 It created a new lifestyle era with the wider use of chairs in Japan. 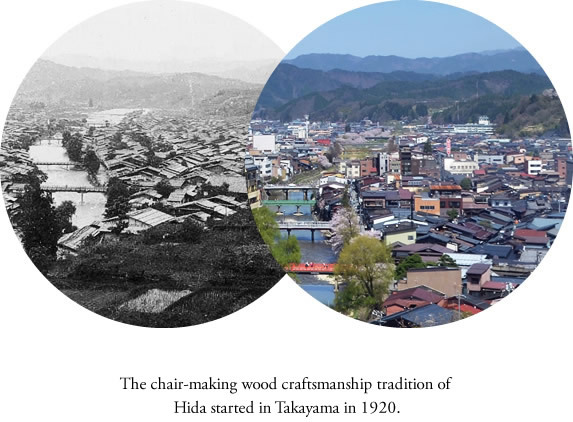 Since then, Hida-Takayama has developed as a region for furniture manufacturing with a focus on chairs. We have actively promoted our brand in other cities, and have done so earlier than any other manufacturing regions. 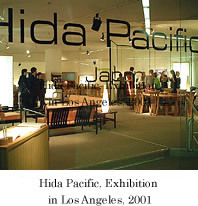 Also, in order to promote the furniture design of Hida and the superiority of its world-class quality, we have had exhibitions in Paris and Los Angeles. We hope to continue to expand our endeavours globally.